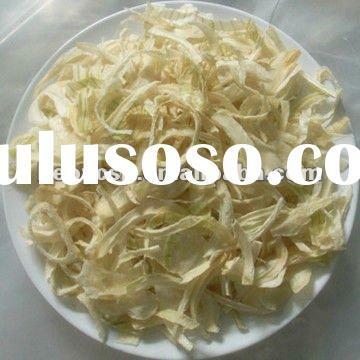 For the fast drying and sterilization of onion, onion slices or chips, garlic slices, garlic powder, apple chip, Jackfruit chip, crisp durian, potato chip, potato stick, sweetpotato stick, taro stick, crisp Beansprout, and dried mushrooms, etc. 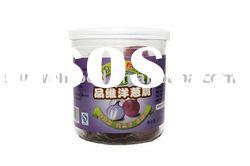 Known as vegetable queen, onion, one of liliaceous allium herbs, is rich in nutrients such as protein, fat, vitamin and calcium, iron,etc, and rich in physiologically active substance such as sulfur compound, flavones, phenylpropanoid, steroidal saponins, prostaglandins, etc. Onion has being awared of more and more attention from people for it's unique flavor and function. 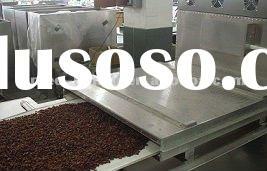 Microwave drying can maintain the original flavor and color of the fruit without any additives. 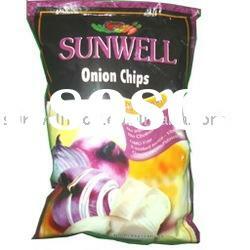 Thus, the onion chips is purely and naturaly green products. 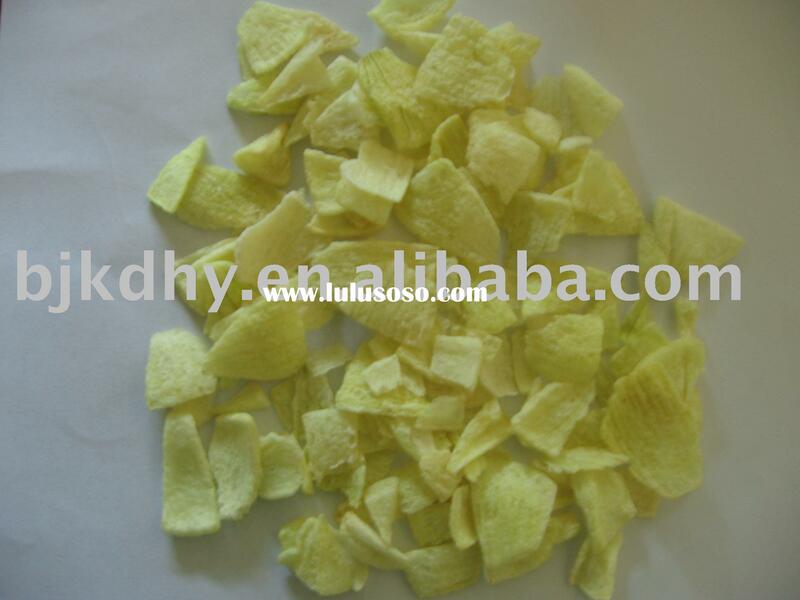 It is crisp and unique in flavor, nutritious in ingredients, easy preservation for a long time, representing the development of modern leisure food products. it is snack food enjoyed by young and old. Microwave drying is a great breakthrough of onion processing technology. 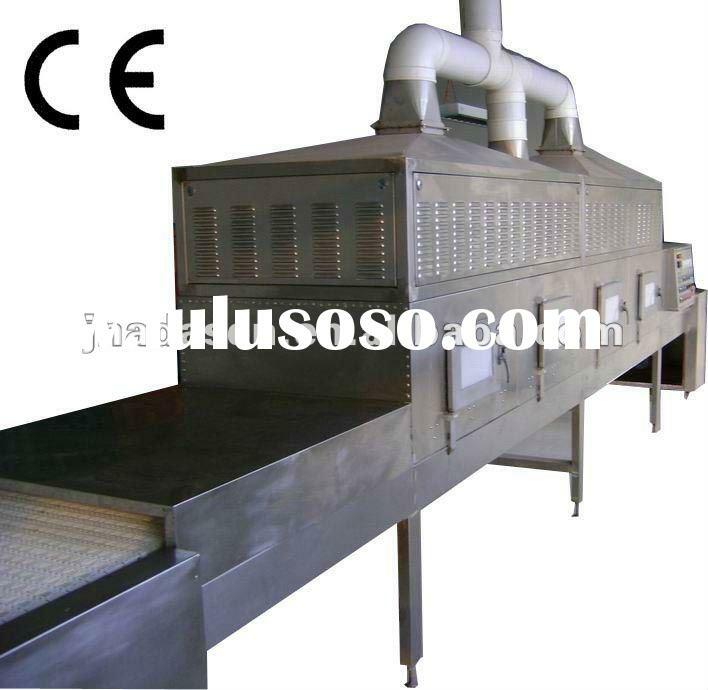 Good taste and unique flavor of the finished products and the relatively low cost makes microwave drying equipment be a rather promising project of agricultural products' further process. 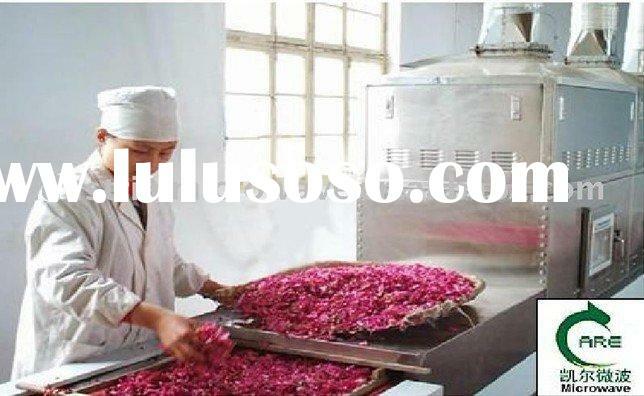 It can also be widely used for the drying of starchy food, the drying of protein food , and the drying and puffing of vegetable and fruit slices. Since the onion has a relatively high moisture content, the onion should be dried by hot air at first and then be dried by microwave.Using this method can shorten nearly half of production cycle. 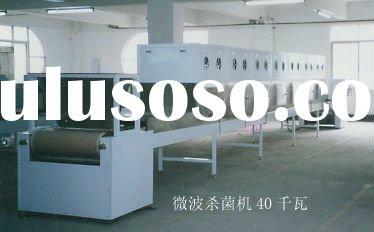 ♣Fast drying speed, perfect puffing effect, good taste, nutritional and hygienic. ♣Automatic control, continuous production and enhance the economic benefits. 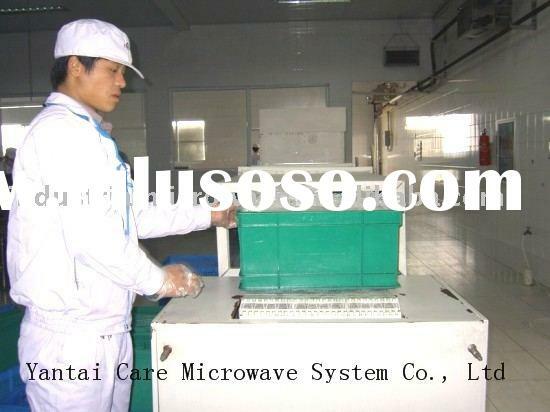 ♣Microwave can also has sterilizing and mould proofing effect. 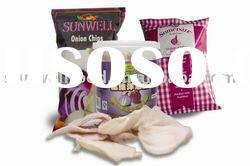 The shelf life of the material can largely be extended but the reliance on preservatives is reduced. ♣Safe, clean, hygienic and protects environment. Yantai Care Microwave System Co., Ltd was founded in Yantai since 2000 for industrial microwave oven design and engineering service and production. The CMS series microwave equipments that are produced by our company have been widely used to the drying and sterilizing for wood, food, medicine, foundry and ceramics, the sintering and smelting for minerals, the catalyzed reaction for chemicals, tire pyrolysis, rubber vulcanizating and other application. The products that our company has research-developed have made excellent contribution in saving energy, improving the efficiency of industrial production, perfecting production environment etc. We believe using this equipment will significantly bring you great interests.Welcome to inquire by telephone or email, sample test, and to visit factory and discuss cooperation! Thanks for your time and interesting!!! 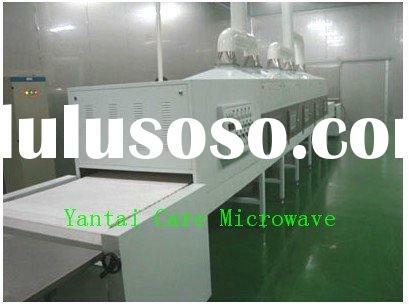 Yantai Care Microwave System Co., Ltd.